The Refined Products and Renewables segment conducts gasoline, diesel, ethanol, and biodiesel marketing operations. 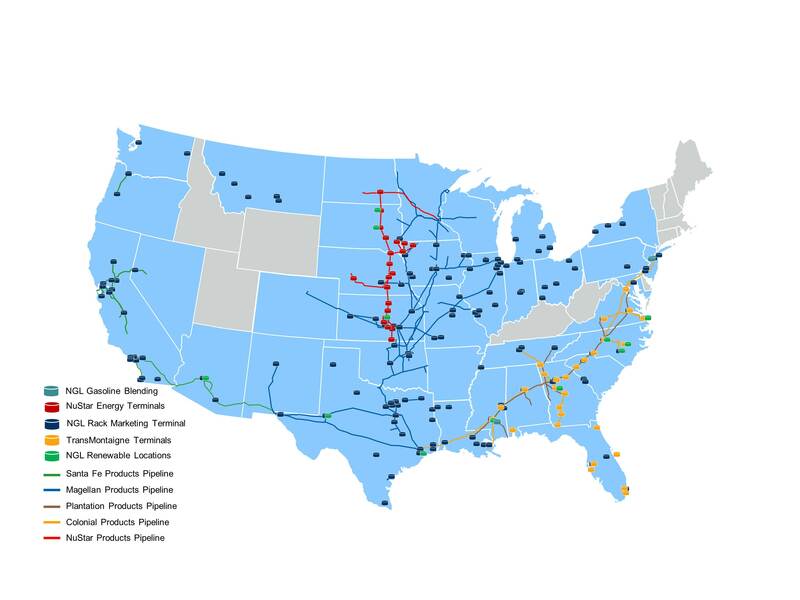 We purchase refined petroleum and renewable products primarily in the Gulf Coast, Southeast and Midwest regions of the United States and schedules them for delivery at various locations throughout the country. Mr. Vangilder joined NGL in late 2013 with the Gavilon LLC purchase, and currently serves as Senior Vice President of Biodiesel for NGL Crude Logistics LLC, where he oversees the operations and commercial activities associated with the Biodiesel business. Grant held several positions as a commodity merchandiser within the Soybean Crush and Renewable Fuels divisions at Archer Daniels Midland from 1999 thru 2010; in 2010 he took a position at Gavilon LLC in their Renewable Fuels division. Grant received a B.S. in Agricultural Business from Iowa State University in Ames, Ia. Mr. Borgen serves as Senior Vice President of Ethanol for NGL. Mr. Borgen joined NGL in December 2013 in connection with NGL’s acquisition of Gavilon, LLC, where Mr. Borgen oversaw ethanol marketing, origination and investment beginning in July 2012. Prior to joining Gavilon, Mr. Borgen was Senior Vice President of Commodity Risk and Operations for Aventine Renewable Energy. Mr. Borgen has held senior level commodity risk management, marketing, and operations positions for Barclay’s Capital, Sempra Energy, and PG&E National Energy Group. Mr. Borgen holds a B.A. from Concordia College in Moorhead, Minnesota. Brian Cannon joined NGL Energy Partners when NGL acquired TransMontaigne in July, 2014 and currently serves as Senior Vice President Marketing (Refined Products). He has been with TransMontaigne since 2002 and has experience in many facets of the TransMontaigne business. From 2002 through 2009 Mr. Cannon held various accounting roles within TransMontaigne culminating as the Vice President, Controller of Operational Accounting. 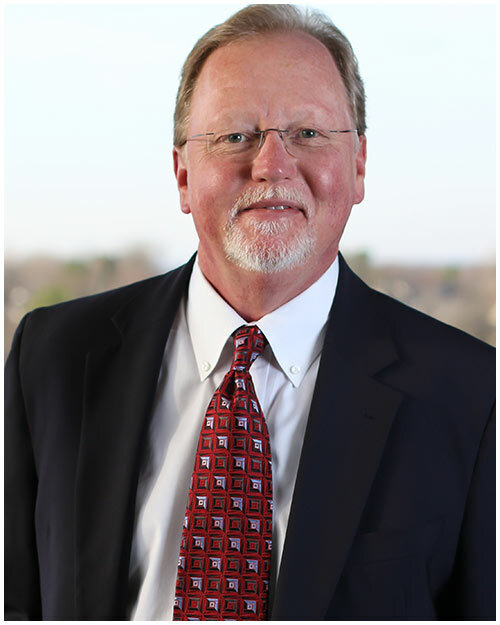 Since 2010 Mr. Cannon has been on the commercial side of the business and has extensive experience in business development, contract negotiation, risk management, and marketing of refined products. Prior to joining TransMontaigne he worked at Arthur Andersen LLP in their Business Process Outsourcing department. Mr. Cannon received a BBA in Finance from the University of Texas at Austin. Mr. Jensen joined NGL when NGL acquired the Gavilon energy business in 2013. He currently serves as the Executive Vice President of the Refined Fuels business. While at Gavilon he served as the Sr. Director of Refined Fuels Marketing and as a Sr. Refined Fuel Trader. Don entered the energy business in 1984 when he joined Conoco working in various parts of the downstream business. After Conoco, Don acted as a refined products trader for several trading companies including Koch Industries, Williams Energy, and Louis Dreyfus. Prior to joining Gavilon Don was the Vice President for Supply and Commercial Marketing for Atlas Oil.